Following on with our timber spotlight series, we’re taking a look this time at captivating chestnut and elegant elm natural wood veneers. When it comes to veneers and furniture making, chestnut is derived from the wood of the sweet chestnut tree. Of the Latin Castanea sativa, sweet chestnut trees will grow to heights of 35 metres and can live to a grand old age of 700 years. The timber is similar to oak but more lightweight and less of a challenge to work with. The grain is straight when the tree is young, but as it matures the grain begins to spiral. Sweet chestnut is widely used in furniture making, joinery and carpentry. In the south east of England it is common for sweet chestnut to be coppiced with the timber used in pole making. And we all know about chestnuts roasting on an open fire and what a delicious Christmas stuffing they make! Our veneers A-Z presents three different options for chestnut. These include chestnut burr which has a delightful swirl to it; chestnut cluster which takes the swirls a step further and tends to be slightly lighter in shade than the burr which can show more reddish tones, and straight grained sweet chestnut which is more of a tan brown colour with consistent lines. Chestnut burr and cluster are perfect for veneer panels that form a feature, such as a centre panel on a piece of furniture. Mixing and matching chestnut veneers delivers a beautiful contrast of textures that marry together in a uniquely natural way. 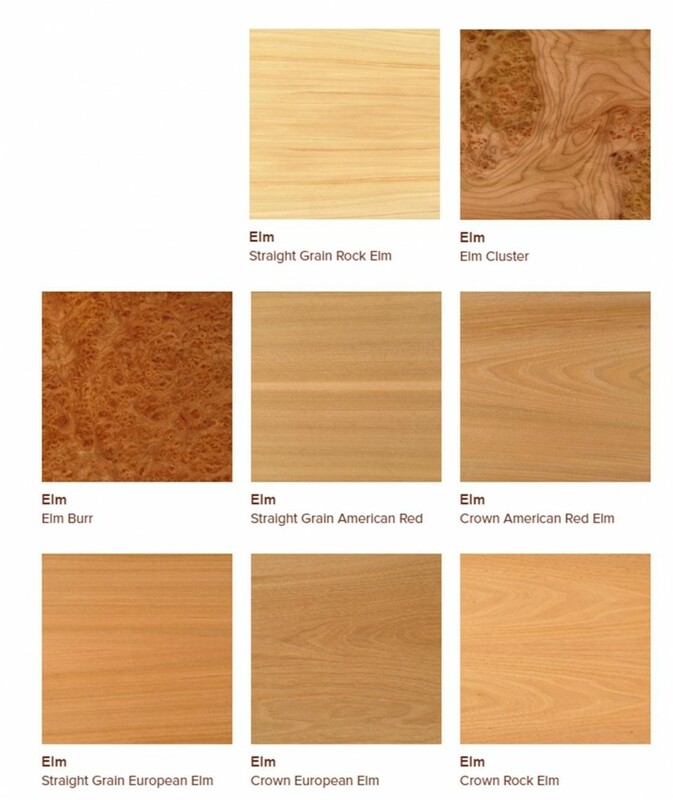 European elm, rock elm and American red elm are the species used as veneers. The European elm (Ulmus laevis) is native to European areas from France to Finland, the Urals, Bulgaria, the Crimea and Spain. It is unusual to find this particular species in England, although not totally unheard of. 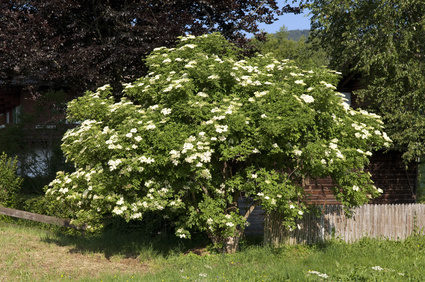 It is a fast growing tree, known to reach heights of 30 metres or more. Whilst closely related to the American elm, it differs in crown structure which in the European elm can be irregular with small sprouting stems appearing on the branches and trunk. These are known to produce distinctive and unique burrs in the timber and veneers. Elm cluster and elm burr are particularly noted for their unique effects and rich hues. These are often used in high end joinery and cabinetry. Crown cut European elm delivers a very elegant finish with beautiful swirling features. The rock elm (Ulmus thomasii) is found mainly in the mid-western United States of America. Its wood is a beautiful light to medium reddish brown with interlocking grain which makes it resistant to splitting. The interlocking grain can make it a challenge to work with this timber in joinery, but it works well and displays exceptional beauty as a natural wood veneer. Rock elm can be crown cut which produces a deeper shade, or straight grained which is very light in colour with distinctive darker graining. The American red elm (Ulmus rubra), also known as ‘slippery elm’, is found across the eastern and mid-western United States of America. Again the wood is light to medium reddish brown with an interlocking grain. The growth rings are usually very distinctive leading to beautiful patterning when crown cut. American red elm can be straight grained or crown cut. If you would like to learn more about the art of blending natural wood veneers into your interior design or furniture making projects, you are welcome to get in touch for expert advice on choosing the right timbers and cut and match techniques so that you can achieve the perfect, unique finish.